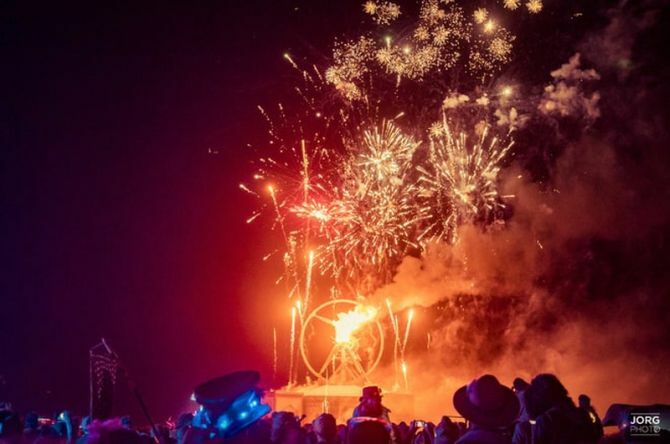 More than 70,000 people gathered in Nevada’s the Black Rock Desert this year. The festival had the theme of “Da Vinci’s Workshop,” where organizers asked participants to explore the similarities between 15th-century Florence and the 30-year-old festival in their giant, temporary city. So, here are some of the wonderful masterpieces by some of the wonderful artists who attended the event. 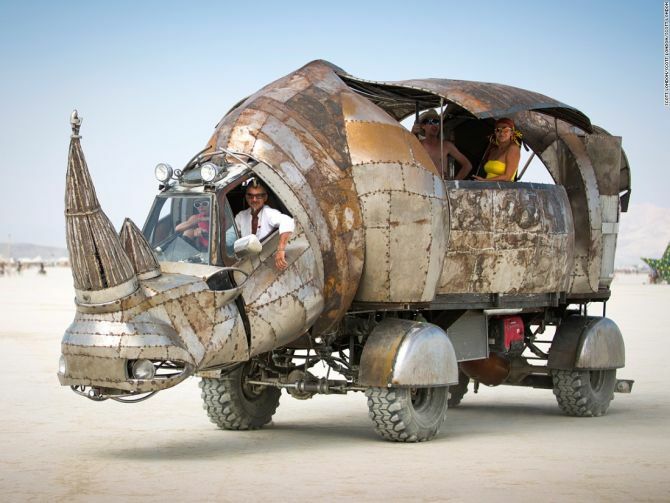 This fearsome looking vehicle was created by Northern Californian metal artist Mark Whitman. 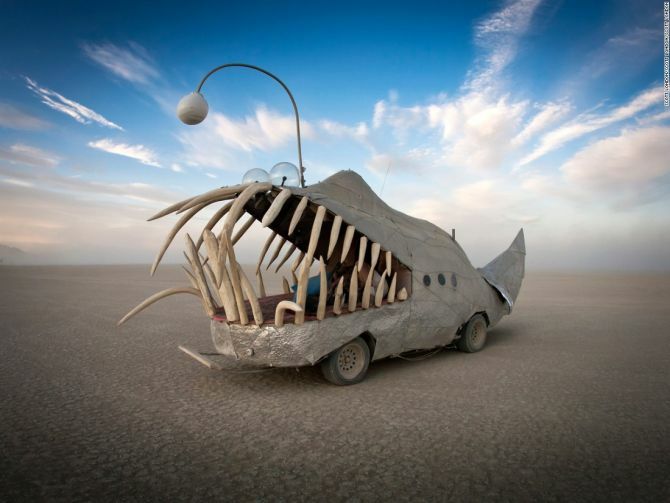 Dubbed the Anglerfish, this sea creature-inspired vehicle features razor sharp teeth and luminescent lures hanging in front of the jaw to catch its prey. 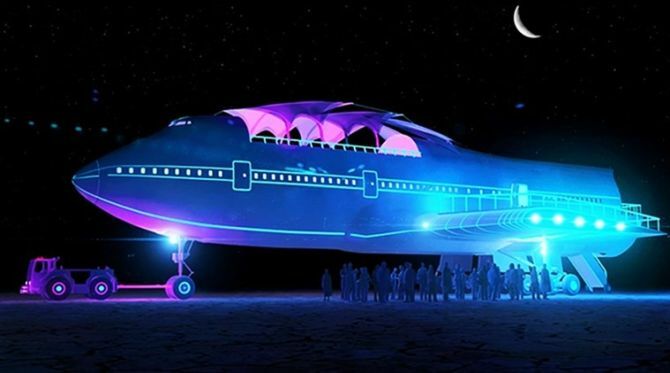 Bay Area artist Greg Barron has created this ship in the middle of the desert, and called it ‘land frigate.’ It is a three-masted art car that’s built on the chassis of an old GM Monaco camper. 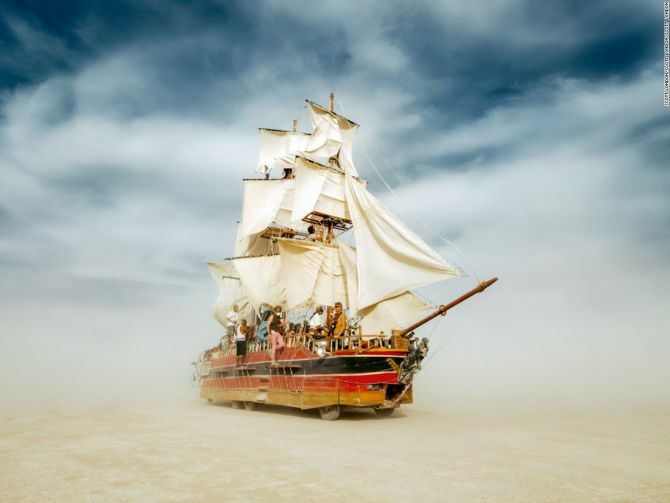 The image of the ship sailing on dry lakebed looks absolutely stunning. 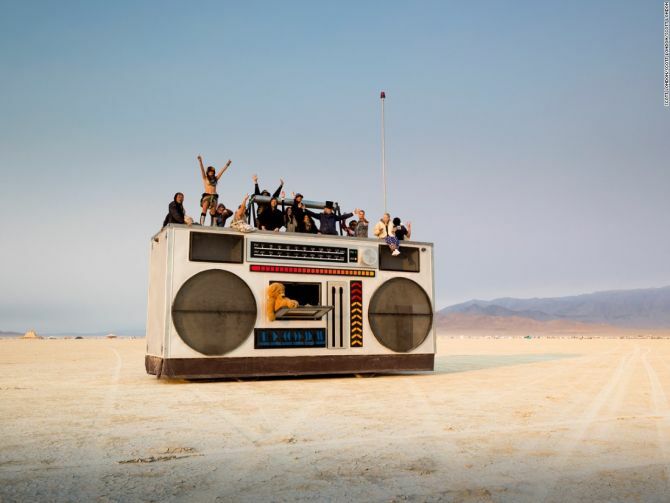 Los Angeles-based artist Derek Wunder has created this rock box-shaped art car. It resembles a 1980s-style ghetto-blaster with a teddy bear on chilling on it. Artist Duane Flatmo has fashioned an eye-catching art installation on wheels, the El Pulp Mecanico. It is a mechanical octopus build completely from reclaimed scrap metal over the chassis of a 1973 Ford 250. 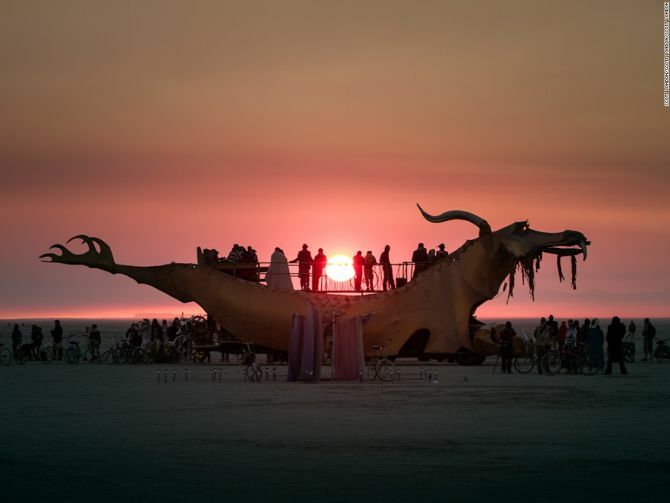 This art car first appeared at Burning Man festival in 2002. It was originally created by Sid Kurz from Seattle-based Lodi Camp. 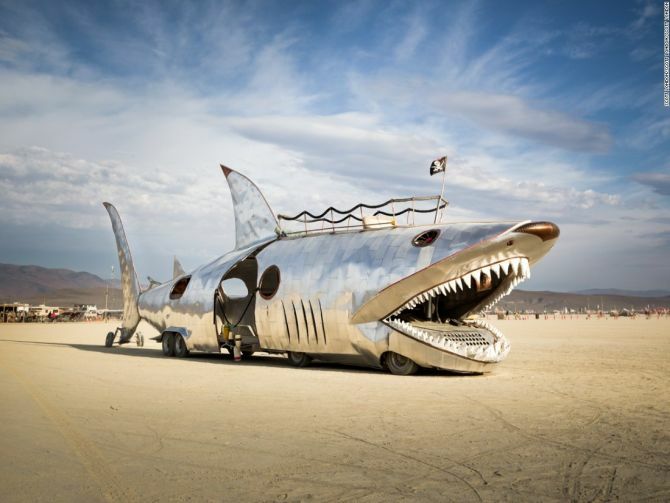 After undergoing many redesigns over the years, the Shar Car reentered the festival with a shiny aluminum body and fierce jaw. Inspired by Japanese samurai culture, this copper-colored dragon has been sculpted by artist Rob Bell. This art car is made out of nylon fabric stretched over a reinforced steel frame that’s built on top of an old school bus. Metal artists Kevin Clark, T.M. Potter and their crew members have created this appealing Rhino Redemption art car on the chassis of 1974 Chevy pickup. 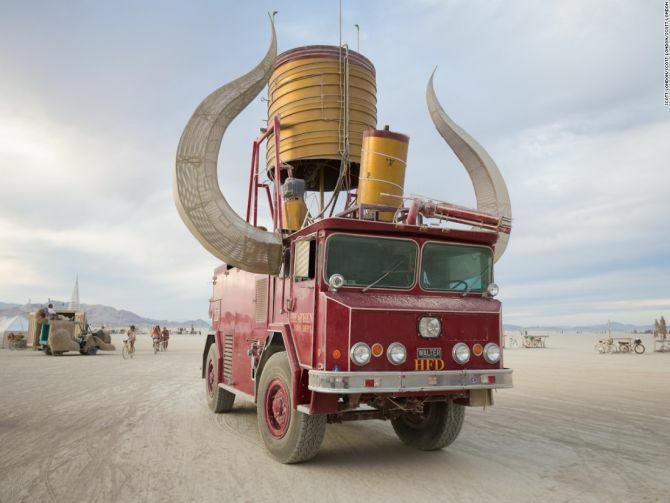 Heathen is one of the most attractive art cars in the Burning Man. It can easily be recognized by its massive glowing horns and dazzling flame-throwing effects. This amazing creation is by artist Kirk Strawn. 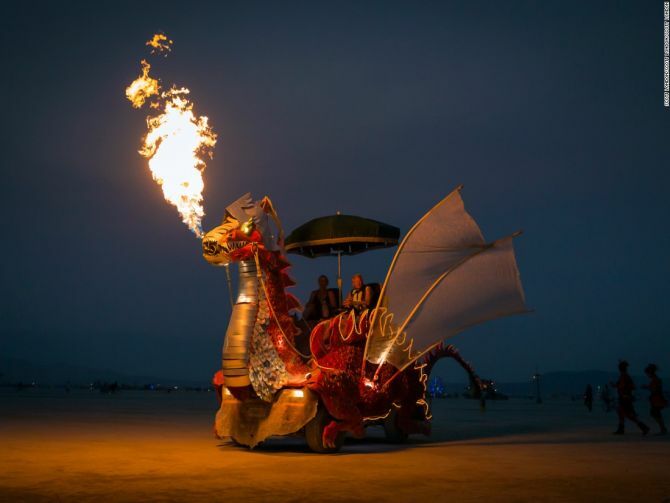 This fiery Red Dragon on wheels is created by Colorado artist Captain Carburetor. The highlighting feature is obviously its propane flame-throwing characteristic. 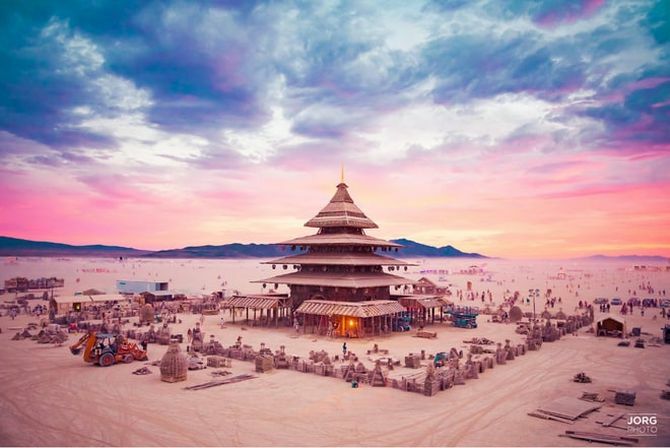 The Temple is a tradition in Black Rock City to create a place to mourn and put situations to rest. This year, the city paid tribute to David Bowie, Prince, Gene Wilder and other visionaries lost in 2016. 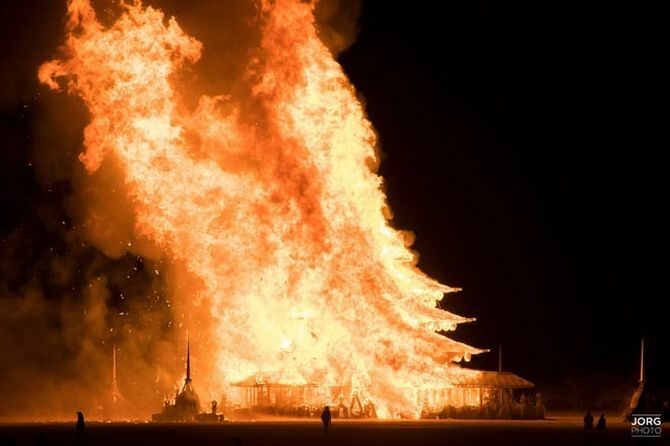 On the final night of Burning Man 2016, this temple was burned to ashes. 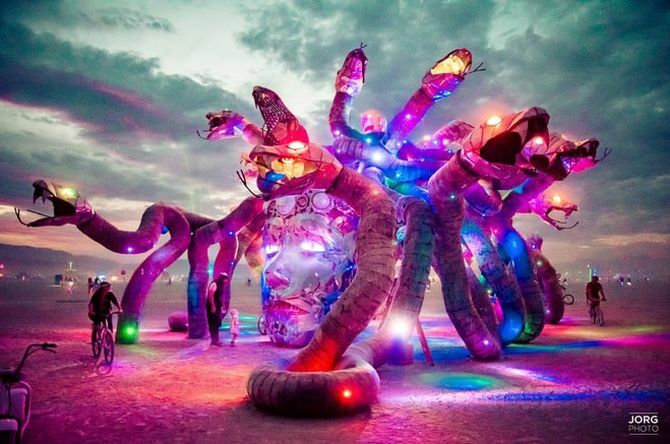 Californian artist Kevin Clark’s installation – the statue of Medusa’s head of snakes spitting fire. It was an impressive steel statue that gained a lot of attention at the event. 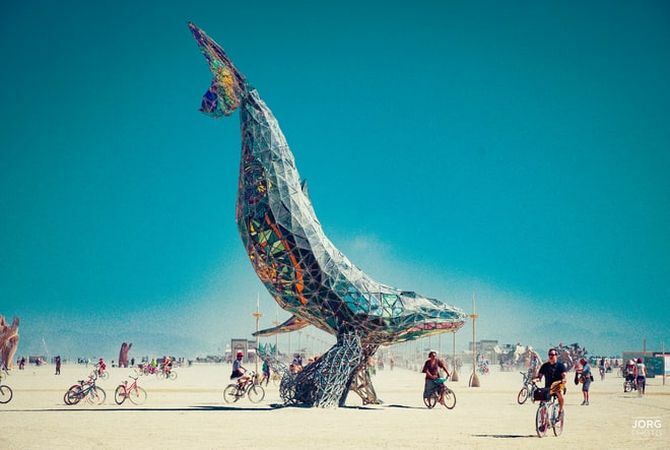 This 50-feet humpback whale was built out of steel and stained glass. It was an epitome of the needs for environmental balance and space travel. 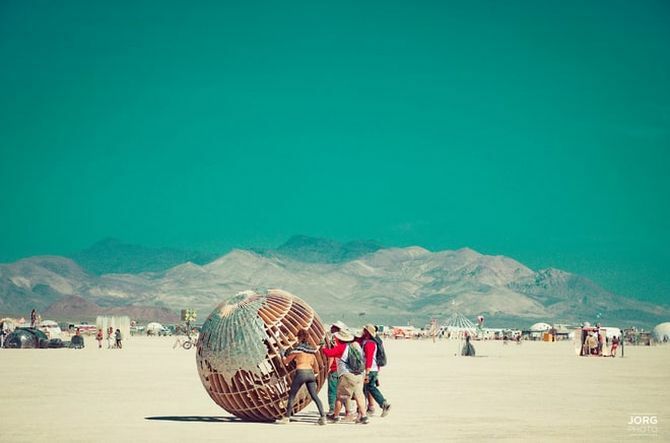 Global Rolling was eight-foot globe that’s crafted to be a reminder of the world outside the desert. It was made out of heavy materials so that it could easily withstand the wind. 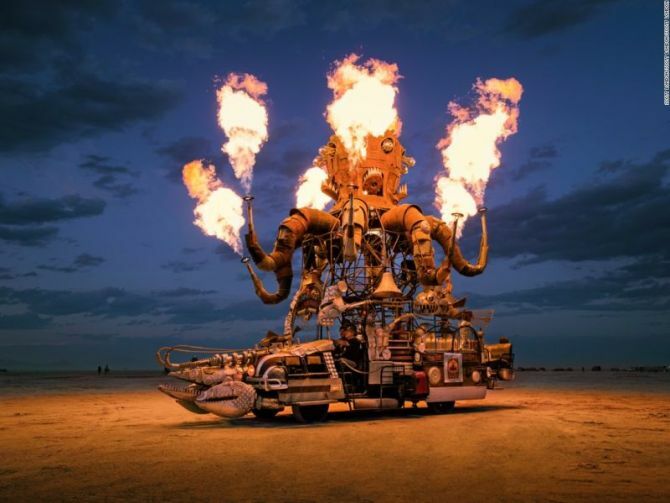 After the festive week in the desert, the burners put a 43-feet effigy of a man on fire at the center of their temporary metropolis.